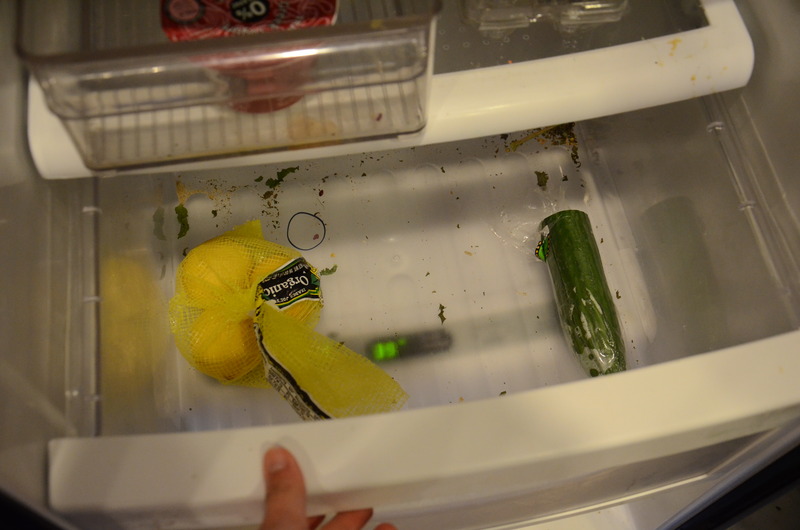 I have mentioned the fact that I worry about forgotten items accumulating in the refrigerator or pantry. I am revisiting that category of cooking this week. There was a reprieve from the pressure to use up fresh produce because my farm share drop-off day fell on July 4, and therefore was not distributed. And I actually managed to use up most of last week’s bounty within a few days! The particular item on my mind was a jar of mayonnaise. I have been known to have mayonnaise reach its expiration date before it is used up. Neither Matt nor I are big cold cut sandwich eaters, I don’t especially like coleslaw, and I prefer vinegar-based dressings for my pasta and potato salads. As for this current jar, I have a confession to make- somehow the expiration date became illegible, so I don’t know when I am supposed to retire it. I planned to “chance” it for a few more recipes, and then no more. I almost forgot to mention that around this same time I learned that mayonnaise turned 100 this year. Who knew? For the first application, I used the mayonnaise in a chocolate cake recipe I found on the website that seems to be a sister site in England. I made it MUCH harder for myself by going back and forth between internet searches to convert the grams to ounces when apparently I could have switched the units on my kitchen scale. Dang it. I was a little concerned about how the cake would turn out, particularly its texture, when I noticed that my mayonnaise was eggless. And clearly eggs are one of the common cake ingredients that the mayonnaise was supposed to fill in for! Fortunately, it turned out fine. (And it didn’t make anyone sick. Woo hoo!). Even my pastry chef friend liked it. 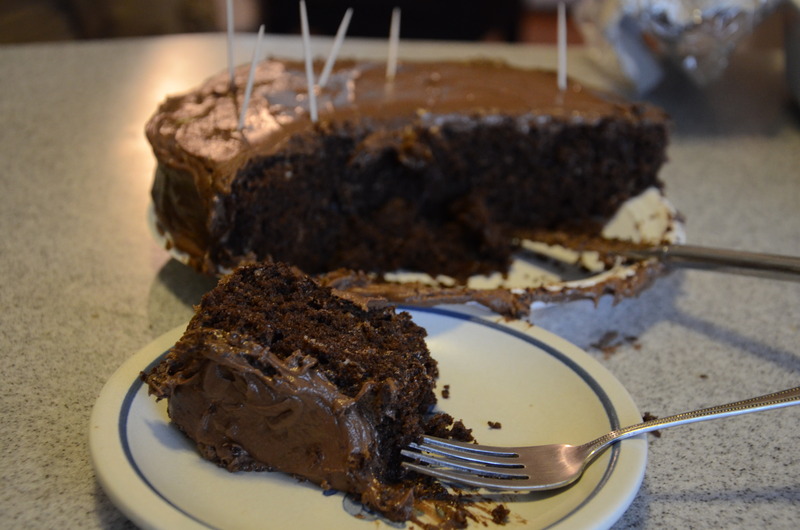 And the frosting, with the coffee flavor added (I used espresso powder), was killer. The next mayonnaise application would be oven fried chicken. Again, a random internet search taught me that mayonnaise could be an important player in making moist meat. What is great about this recipe is that you can make the coating out of pretty much anything you have hanging out in your pantry! I used melba toasts that somehow sat in my pantry for 9 months, and crispy rice cereal left over from marshmallow treats I had made to bring to a July 4th barbecue. Servings: It depends! This makes enough coating for at least 6 bone-in skinless chicken thighs, or at least 2 pounds of skinless chicken parts you are using. Most people would need two thicken thighs for a serving. Preheat the oven to 350 degrees. (The original recipe said 400 degrees, and a very similar recipe said 350. I went with 350 because, honestly, I had time to kill. My thought was that the different temperature meant a different cook time but may not affect the chicken’s tenderness. 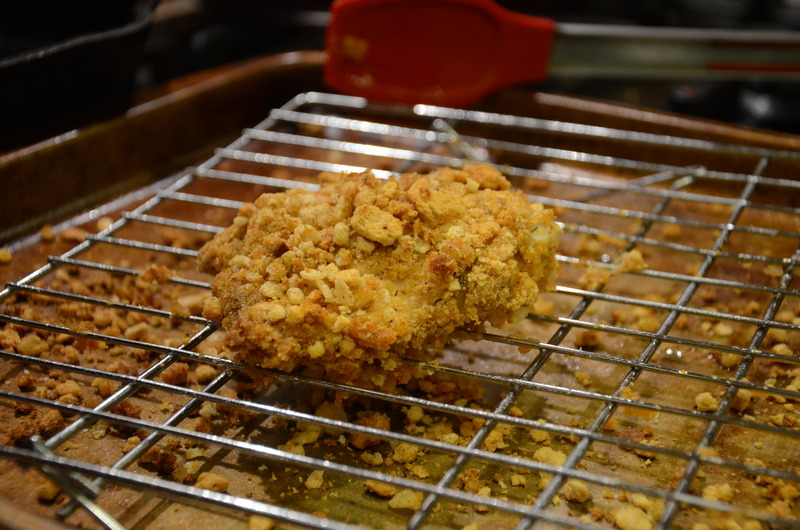 It might be better to keep the temperature lower in case the breading gets too brown before the chicken reaches temperature.) Arrange a metal cooling rack over a jelly roll pan. 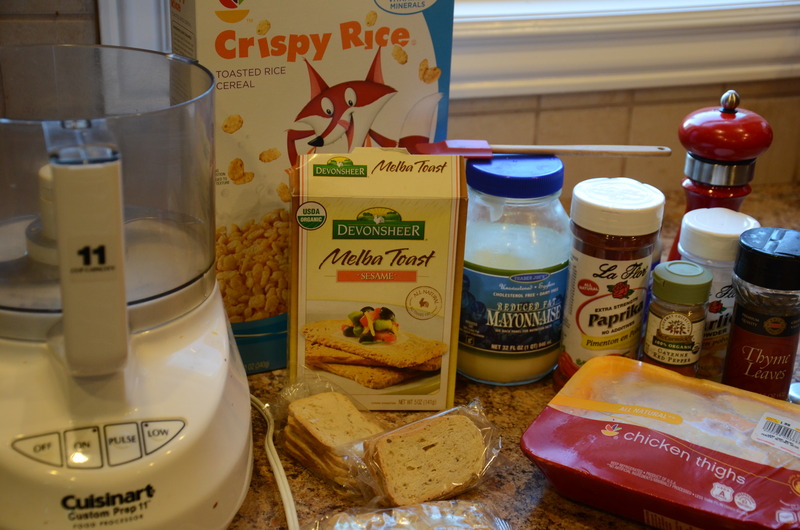 Crush the Melba toast in the packages, and then add to food processor to grind further. You want there to be some slightly larger pebbles after pulsing. 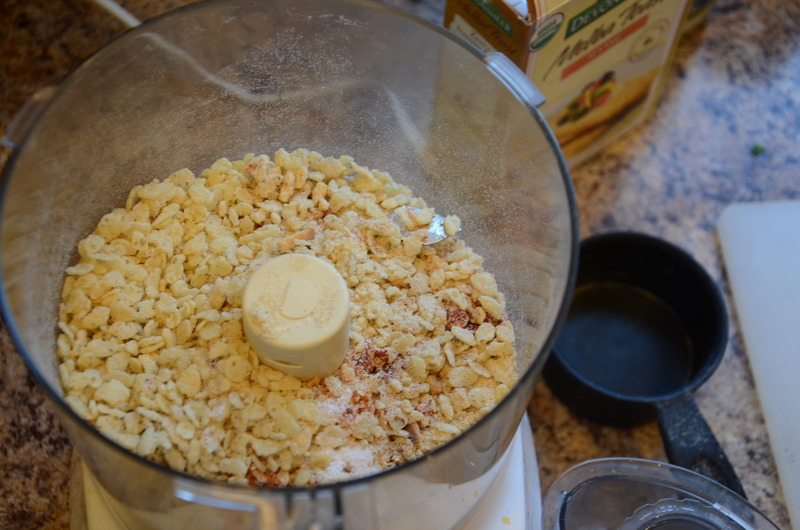 Add any other, smaller crumbs, like crispy rice cereal, along with the rest of the spices. Pulse again. 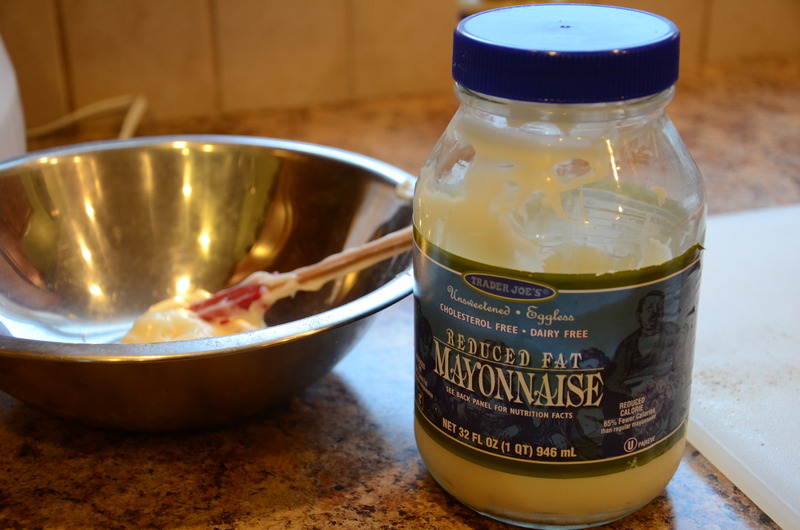 In a separate bowl, combine mayo and Dijon mustard. 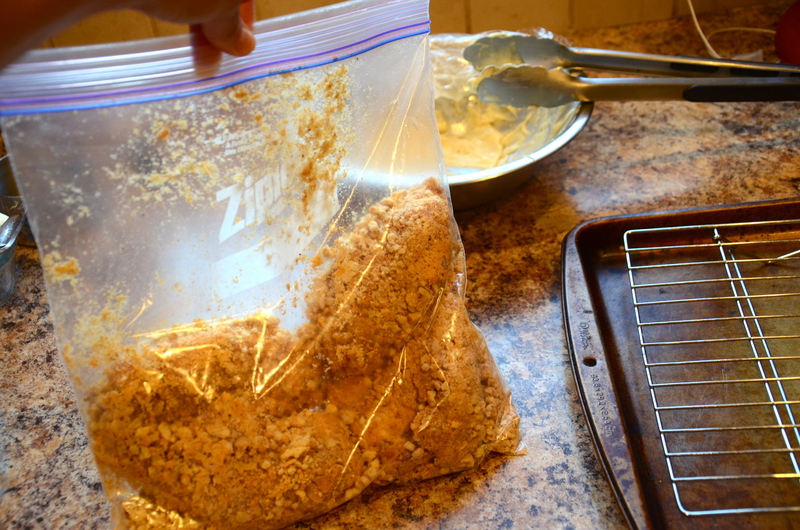 At this point, you have two options: 1) use two bowls and coat each chicken piece individually by going from the mayo mixture to the crumbs, or 2) Use a zip lock bag and the “shake and bake” method. Place on rack on pan and spray with cooking spray. 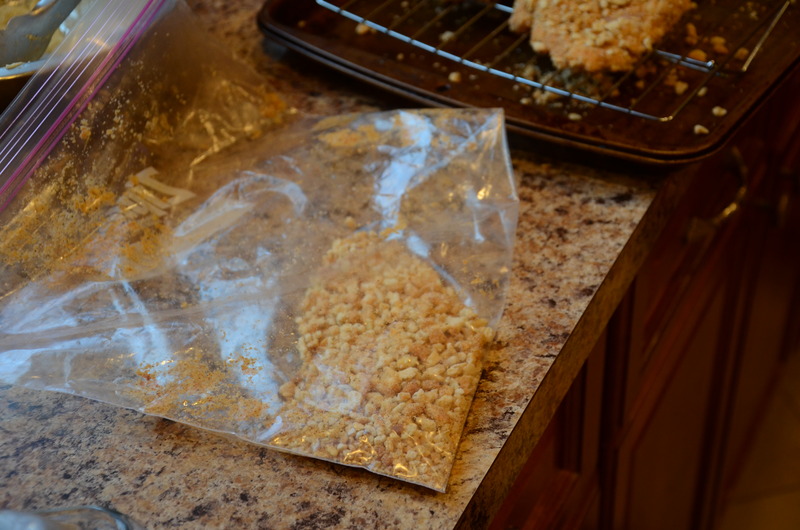 See how much leftover breading I had? Cook until chicken is done (juices run clear and temperature reaches 165 degrees – 40 minutes for my thighs) rotating the pan about halfway through. Remove and allow to cool for a few minutes. The resulting chicken is amazingly juicy and delicious. While prepping the chicken, I came to my senses about the fact that I couldn’t serve chicken alone for dinner. I should have planned to offer a vegetable, but I hadn’t thought about that. Canned beans didn’t appeal to me, and the only appropriate vegetable in my freezer was peas. Here is a rare glimpse at my nearly empty refrigerator crisper drawer! What could I serve with this fried chicken? Well, waffles of course! 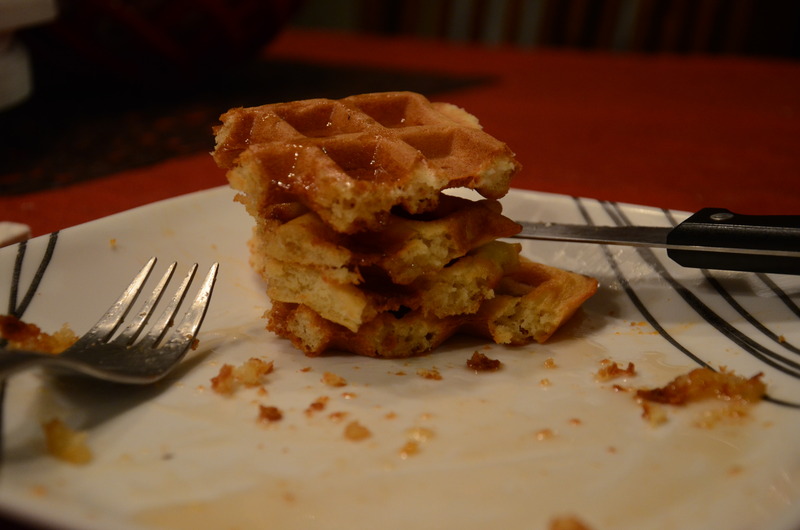 I still had leftover waffle mix from a Christmas gift box. I added a couple of tablespoons of sugar to the recipe on the can, because sugar wasn’t on the ingredients list and I like a touch of sweetness in my waffles, even for dinner. Then I drew on the information gained from a friend—who became obsessed with replicating the flavor and texture of European-style waffles, Belgian waffles like they serve from the Wafels and Dinges truck in NYC, and learned that one of the secrets to crispy waffles is an abundance of butter—and doubled the recommended amount of butter. The waffles came out great. 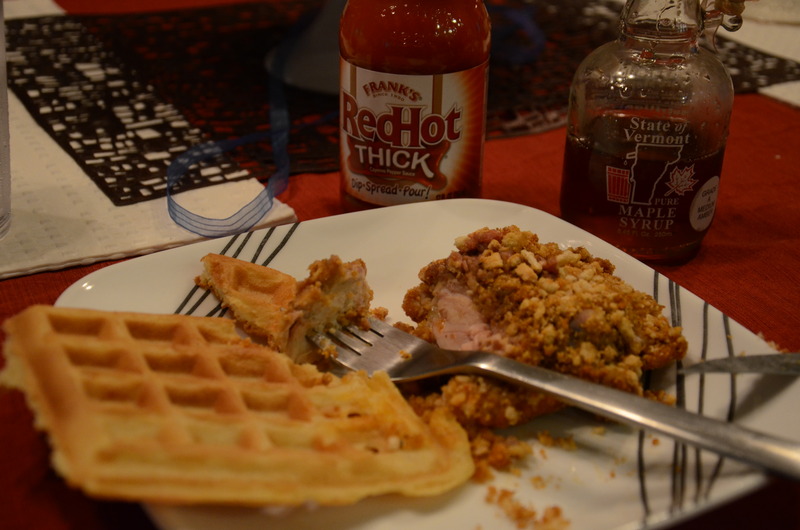 A little hot sauce, a little maple syrup, and we had a “complete” meal. 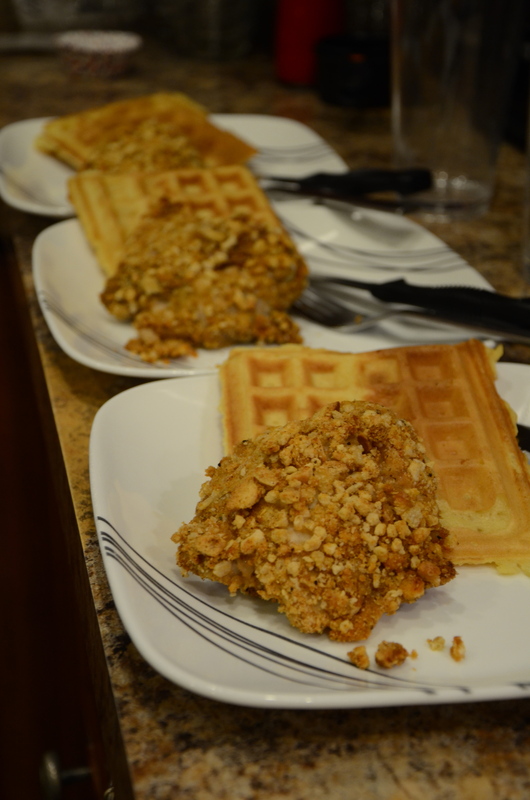 This entry was posted in Breakfast at dinner, Chicken, Recipes. Bookmark the permalink. That’s a fun dinner, Greg would be in heaven. I didn’t know you had a waffle maker!